282 pages | 24 Color Illus. | 73 B/W Illus. Hadron therapy is a groundbreaking new method of treating cancer. Boasting greater precision than other therapies, this therapy is now utilised in many clinical settings and the field is growing. More than 50 medical facilities currently perform (or are planned to perform) this treatment, with this number set to double by 2020. This new text covers the most recent advances in hadron therapy, exploring the physics, technology, biology, diagnosis, clinical applications, and economics behind the therapy. Providing essential and up-to-date information on recent developments in the field, this book will be of interest to current and aspiring specialists from a wide range of backgrounds. Chapter 2: Radiobiology and Hadron Therapy: What Do We Know and What Do We Need to Know? Chapter 3: Challenges Surrounding RBE for Particle Therapy: Where Do We Go from Here? 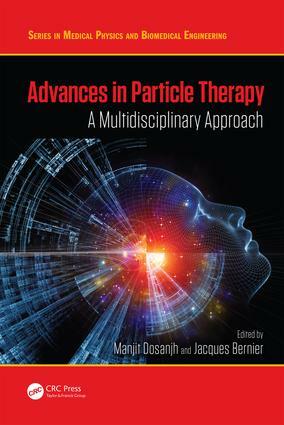 Chapter 7: Why Particle Therapy rather than Photon Therapy or How to Integrate the Decision into Multimodal Management. Chapter 19: Addressing Global Challenges for Radiation Therapy: From “C” to shining “C” (Cobalt to Carbon) and the “Radiation Rotary”. Manjit Dosanjh is the co-ordinator of the Technology Transfer Network and Biomedical Applications in the Education and Technology Transfer Division at CERN and a Health Consultant for the Forum for Health. She is also the co-ordinator of ENLIGHT (the European Network for Light Ion Hadron Therapy). Jacques Bernier is the Medical Director of the Oncology Department of the Clinique de Genolier and the Integrated Center for Radiation Oncology of Eaux-Vives in Geneva. He is also Course Director at the European School of Oncology.